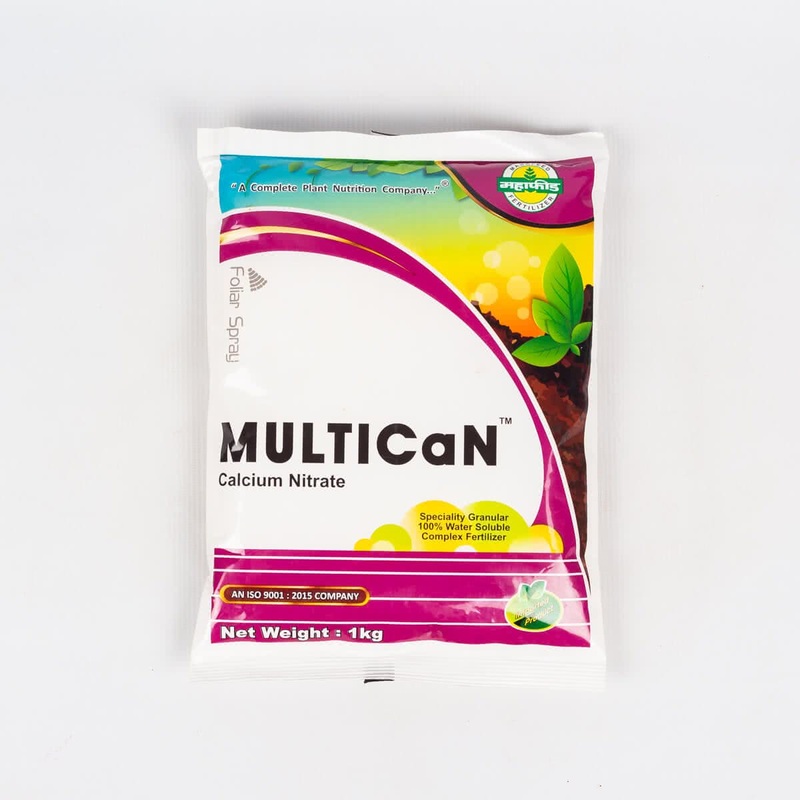 MULTICaN Calcium Nitrate consists of 100% plant nutrients. It is free of sulfate, chloride, sodium and other elements that are detrimental for plants. It is suitable for the production of nutrient solutions and can be mixed with all water soluble fertilizers, except stock solutions containing phosphates or sulfates. 15.5% Nitrogen (1.1% Ammonical Nitrogen + 14.4% Nitrate Nitrogen), 18.8% Water Soluble Calcium.